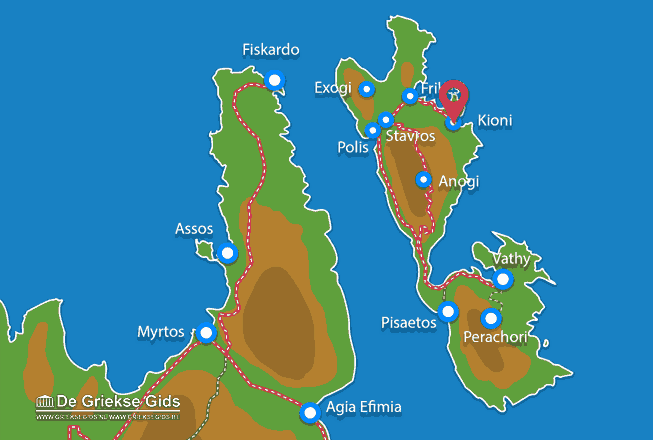 Kioni. 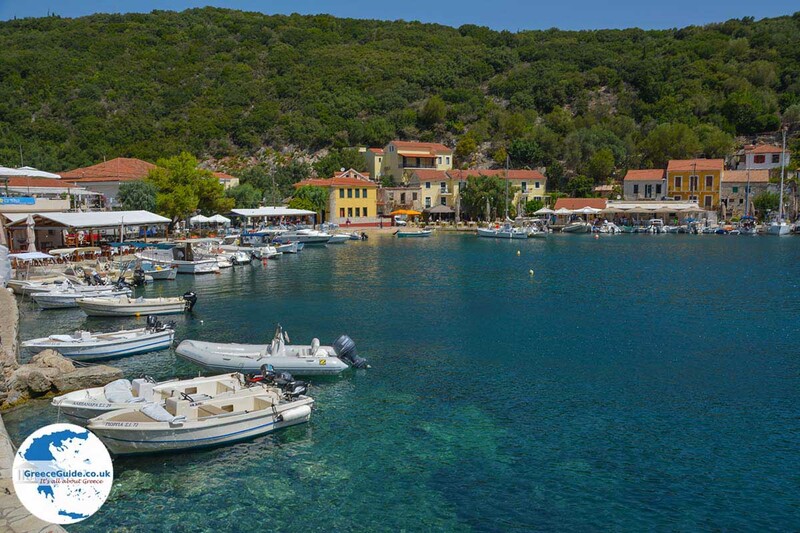 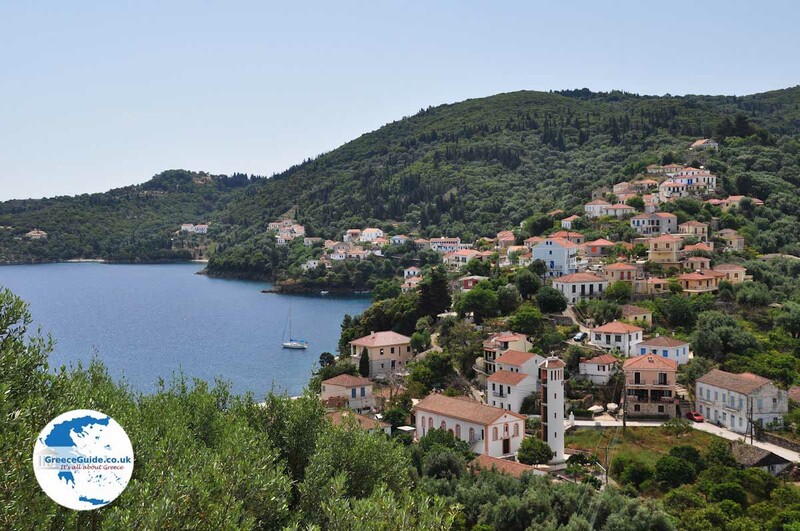 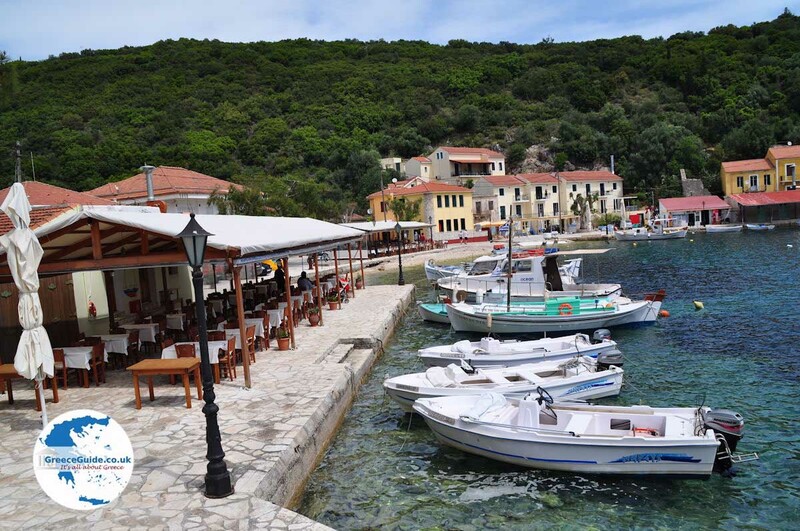 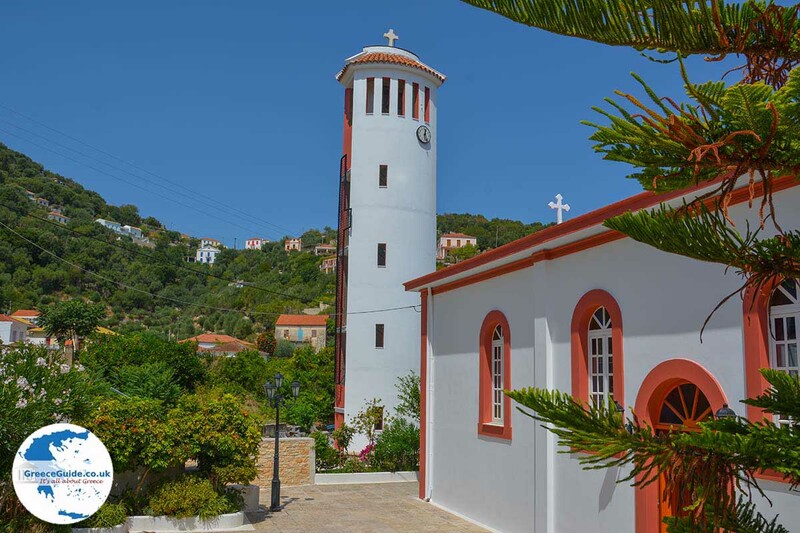 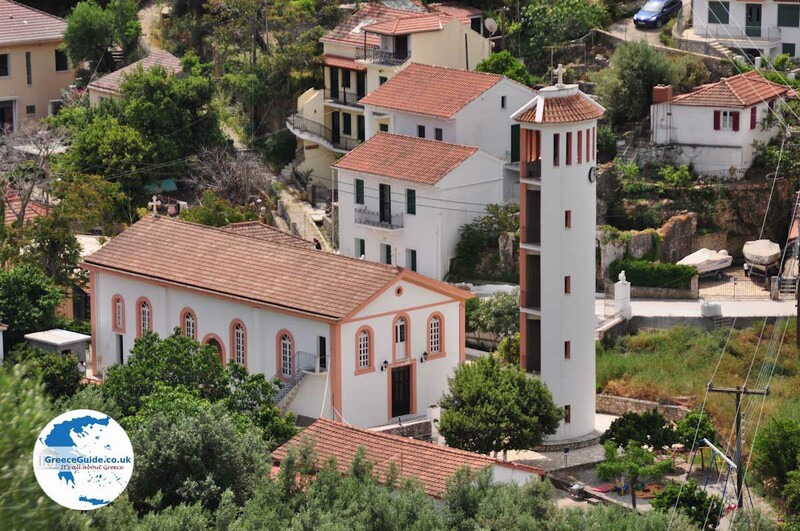 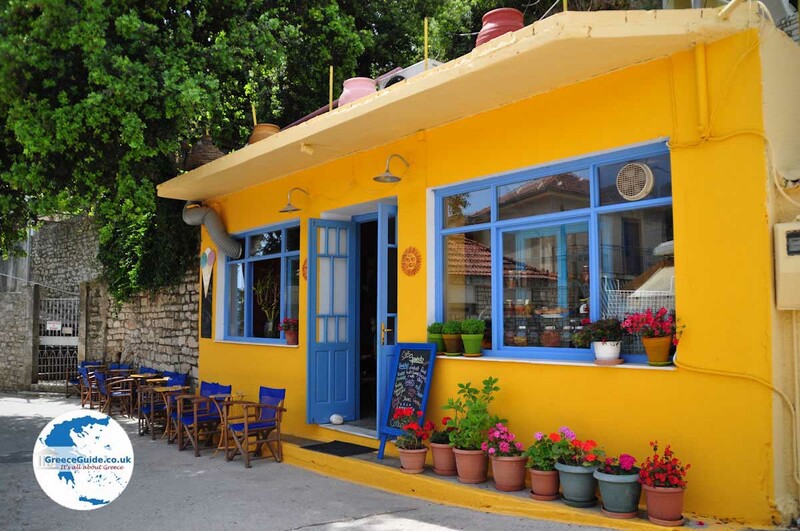 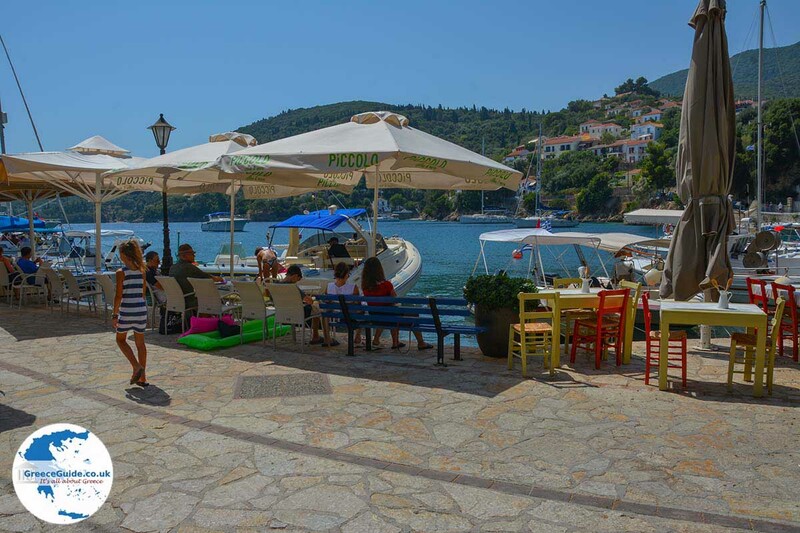 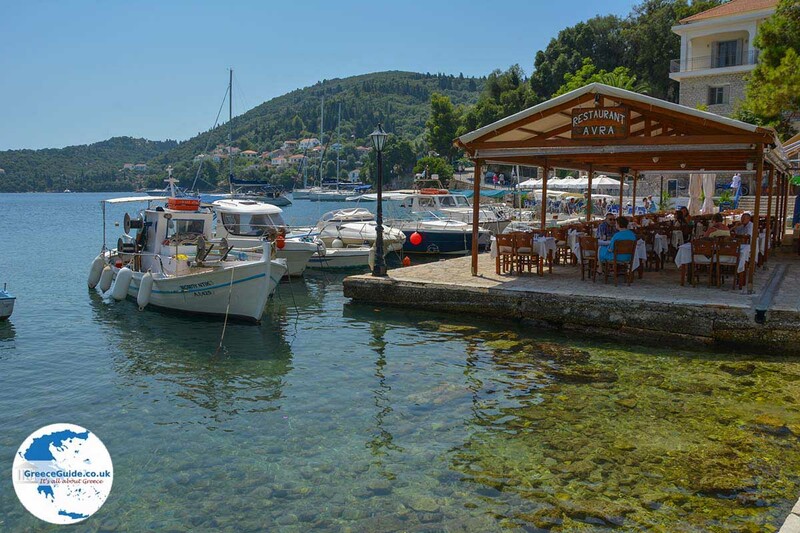 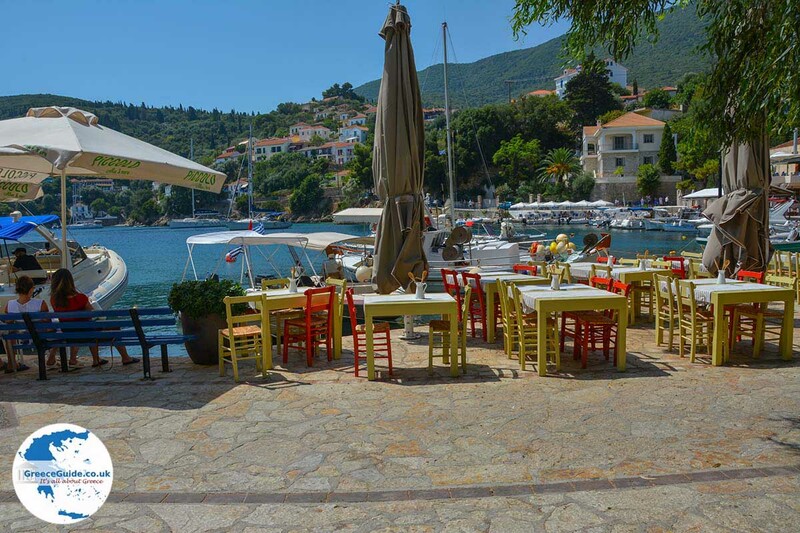 The authentic fishing village of Kioni on Ithaca Island (Ithaki) is located on the northeast coast of the island, about 5 kilometers (3 miles) from the village of Frikes and 21 kilometers (13 mi) from Vathy, the capital of the island. 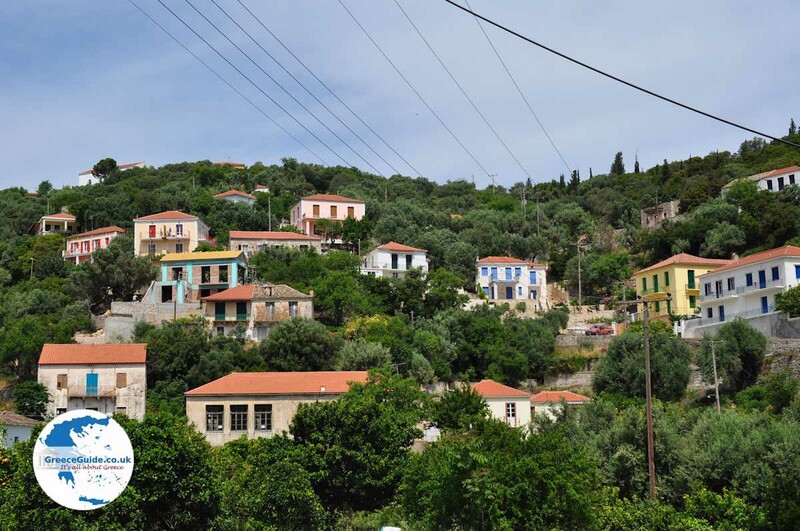 The route from Vathy through Frikes to Kioni is beautiful, and offers amazing views.